At this time of year I'm always racking my brains to think of something to get my husband for Christmas and he really is the hardest person to buy for. But there's one gift that never gets boring - beer! 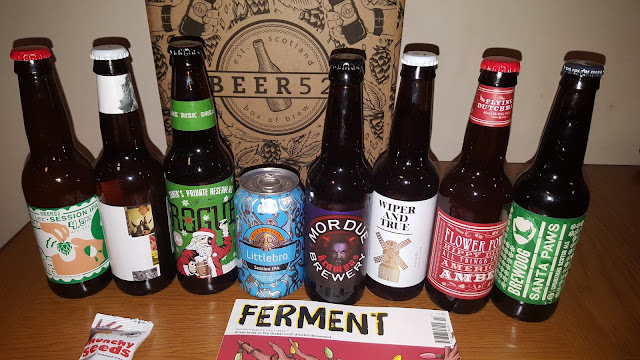 We were recently introduced to Beer52 who offer a craft beer subscription and I have to say, this might be one of the most popular things I've ever given him! 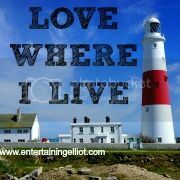 They are the largest craft beer discovery club in the UK and they offer various subscriptions of craft beer, delivered direct to your door. Their beer experts visit breweries all over the world so you can be sure of something new and different in your delivery! You can choose to order a one off box (£24 per case) but if you really like beer then you can sign up for three (£69), six (£132) or twelve months (£252). 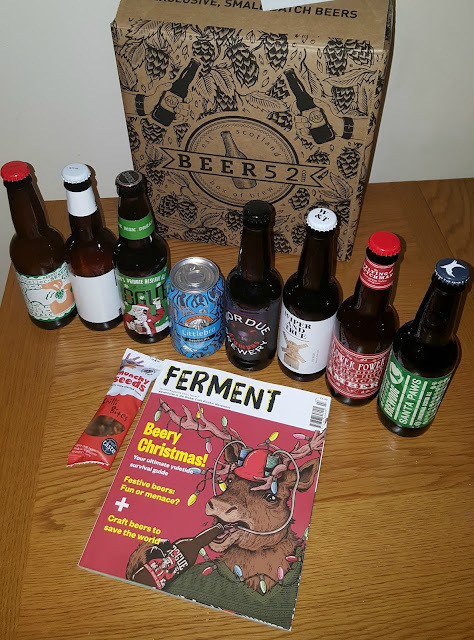 Each box contains 8 or 10 beers, plus a copy of Ferment magazine (the UK's number one craft beer magazine) and a tasty snack to enjoy with your drinks. You can even just send them a text on 88802 to order a case! The beers arrived in a big sturdy box and were well packaged. The theme of the boxes changes each month but being December, this one was of the festive variety. Our beers included Mimosa, Single Hop IPA, Santa's Private Reserve, Santa Paws, Flower Power, F*ck Art; the Heathens are coming, Krampus and Littlebro. The snacks were Munchy Seeds Chilli Bites, we've had these before and they are really good but the bag could be doing with being a little bigger! My husband is already a fan of the Brewdog company so he was really pleased to see Santa Paws and this one was his favourite from the box. He enjoyed all the beers and said it was really good to be able to try out some new breweries that he'd not heard of. The selection you can find in the supermarkets can become a bit samey so the new beers were a big hit! The magazine was also well received, even I had a read through and I know nothing about beer! Inside there were lots of interesting articles and even a run down of which beers were featured in the box - really useful for finding out more about the breweries. Overall, this was a big hit with my husband and something I will definitely consider in the future for a gift. I like the fact that you aren't tied to a monthly contract/subscription but can order a one off box.